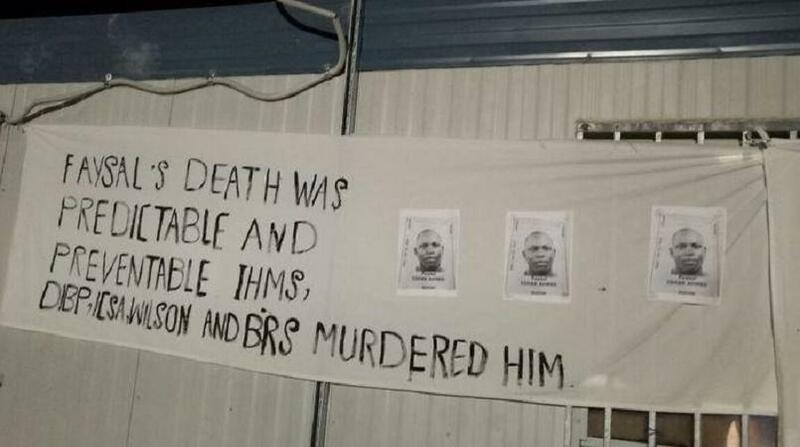 Over 200 refugees on the Manus Island detention centre in Papua New Guinea have a signed a letter calling for the investigation of International Health and Medical Services after a Sudanese refugee died. Faysal Ishak Ahmed was evacuated to Australia from Manus last week after collapsing at the Australian-run detention camp but died in a Brisbane hospital on Christmas Eve. The Australian based Refugee Action Coalition's Ian Rintoul said Mr Ahmed's ill health was well documented but he was denied proper medical care. Mr Rintoul said calls were now growing for a Royal Commission into the health provider's lack of facilities and a culture of dismissal and neglect. "They say there's just no oversight, IHMS works with the immigration department in terms of providing proper medical treatment for people that are being held on Manus Island, there is no oversight, so at the moment, whether or not people get medical treatment is a political decision and that's not acceptable," he said. Mr Rintoul said vigils for Mr Ahmed were being held throughout Australia. International Health and Medical Services responds saying reports not correct. In a statement, International Health and Medical Services or IHMS said it was concerned with the inaccuracies and misinformation surrounding the reporting of Mr Ahmed's case. The health provider said claims that the patient was denied access to medical care were not correct. Mr Ahmed was seen by clinicians and other allied health professionals at the clinic on numerous occasions in the three months preceding his death for multiple issues and his presenting medical issues were assessed, investigated and managed, according to IHMS. The facts and circumstances surrounding his death will be referred to the Queensland Coroner. 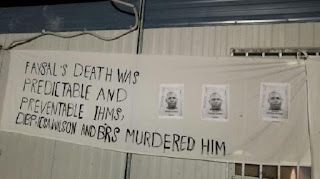 However currently available information indicates that Mr Ahmed died from severe head injuries sustained in a fall at the Manus Island Regional Processing Centre on 23 December. The health provider said it was extremely proud of the work of its highly qualified and professional clinicians at the Manus Regional Processing Centre carried out and their efforts to stabilise Mr Ahmed and transfer him to Australia were exemplary.